Home MAC	MAC Studio Nail Lacquer Has a New Formula! 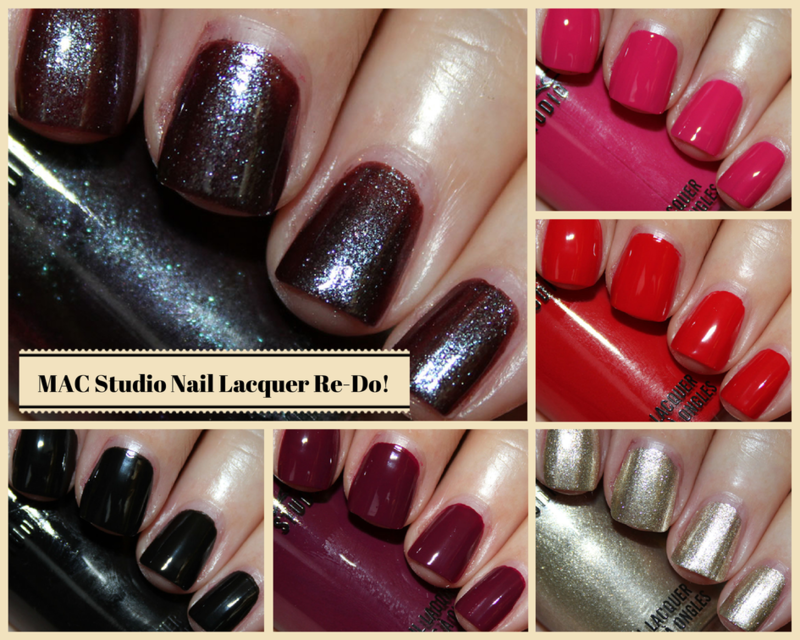 MAC Studio Nail Lacquer Has a New Formula! Alert, alert! 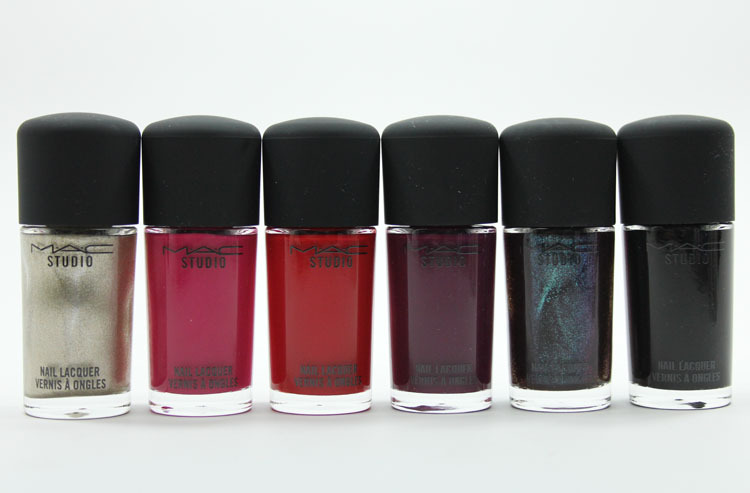 MAC Studio Nail Lacquer FINALLY has a new and improved formula! I think I have heard more complaints about MAC nail polish than pretty much any other brand out there in my days. And the complaints were not unfounded. Especially when it came to certain finishes they carried like their creams, which were notoriously streaky. But now they have reformulated the three-free line, added vitamins E, C and B5, and created a newly designed brush, which has flattened and more streamlined fibres for a better, smoother application. They also have an Overlacquer (clear gel-like top coat), Underlacquer (gel-like base coat), Matte Overlacquer (matte-effect top coat) and Texturize (clear leather-effect top coat). The nail shades come in 32 colors and four finishes including cream, frost, pearl and glitter. Screaming Bright is a glittery pale gold. This had a great formula and actually only took one coat to cover! Girl About Town is a bright cool-toned fuchsia pink cream. I love the Lipstick with the same name and this too is a nice shade. I can say this formula was really very good. It was two coats and nary a streak in sight! 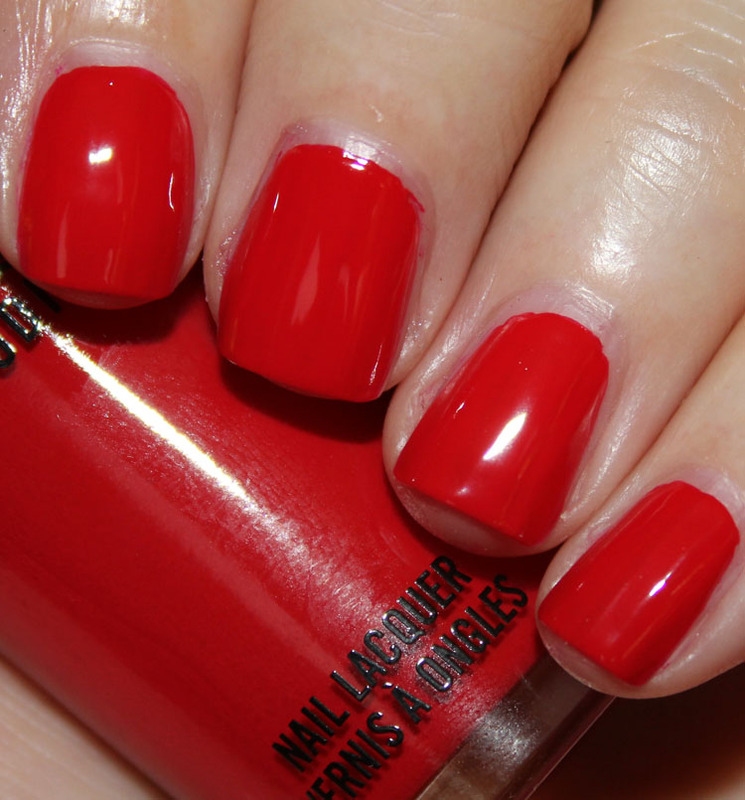 Shirelle is a bright classic red cream. Another one with a really excellent formula. This was two thin coats, no streaks or other issues. Rebel is a medium plum cream. And here is yet another cream with a really great formula. I had no problems with it and this was two coats. Nocturnelle is a deep black cream. It’s opaque, streak-free and covers beautifully in two coats. Formidable! is a teal green pearl with pink and multi-colored tones. I have the original one of this shade as well and it had a pretty good formula, as did this one. This is two creamy, smooth coats. I have to say I am VERY glad they have changed these, especially the cream shades. I definitely noticed a huge improvement with the cream finishes because those were almost always three coats in the past and still left streaks or brush-strokes. Now they were two coats and I had zero issues. Yahoo! Will you be checking any of the reformulated lacquers out?